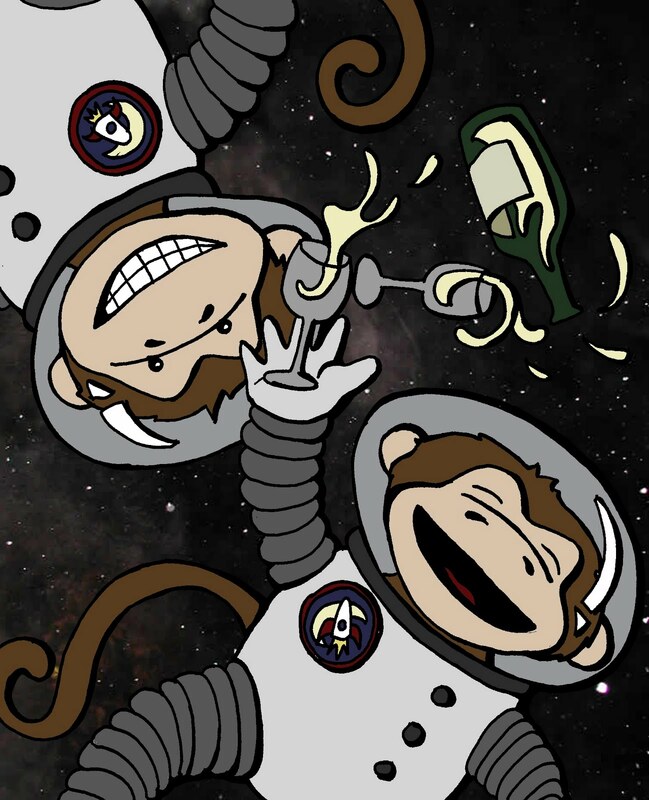 NASA has sent a woman and two chimps into space. and then it stopped, and because we were hungover it was officially the funniest thing ever. We still laugh about it to this day. And that is why her card has space monkeys on it. Have a good week all!